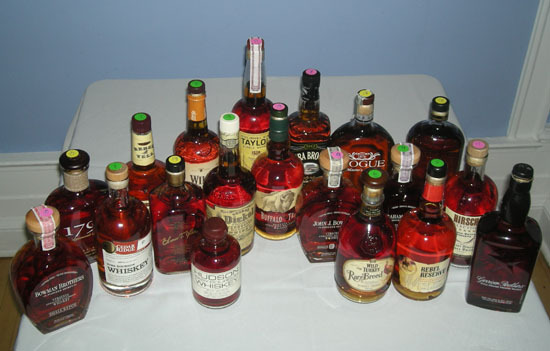 The Fifty Best held a “blind” tasting of 19 premium bourbons with 16 journalists, bartenders and aficionados. Strict tasting rules were applied. Even the order of service was established beforehand by lottery. 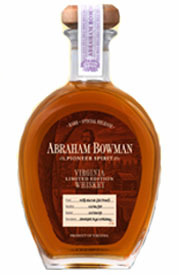 Each of the bourbons were poured into fresh glasses from new sealed bottles, and immediately served at room temperature. Only ice water and unflavored rice crackers were available to cleanse the palate. Nose: Butter, vanilla, banana, floral, grassy, sweet, spicy. Palate: Rich fruit, light floral, dried orange rind, molasses, caramel, creamy layers, vanilla, maple, banana, tangerine, ginger, nutmeg, sweet, round, well-balanced, great smoothness, classy, favorite. Finish: Nutty, sugary, malty, some pepper, mellow, clean, soft, short. Nose: Caramel, burnt sugar, molasses, vanilla, floral, rose, clean. Palate: Lemon peel, tangerine orange, apricot jam, honey, buttery, pastry, malty, nutmeg, hazelnut, sherry, eucalyptus, allspice, white pepper, medium spice, cedar, woodsy character, sweet, smooth. 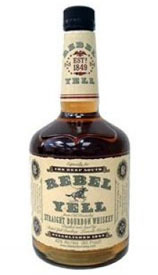 Finish: Lemon peel, malty, caramel, acidic, spicy, rustic, smooth, mellow, short to medium. Nose: Honey, molasses, caramel, butterscotch, smoky. Palate: Orange peel, pineapple, lemon citrus, apricot, vanilla, treacle, nutty, cereal, spicy, cinnamon, coffee, smoky, oak, clean, smooth, well-balanced. Finish: Floral, gtrassy, scotch-like, smooth, mellow, short. Nose: Sweet, honey, vanilla, caramel, buttery, floral, fruity, banana leaf. 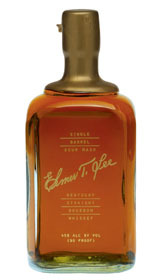 Palate: Caramel, honey, molasses, toffee, banana, creamy, buttery, biscuit, floral notes, fresh, smooth, well-balanced. 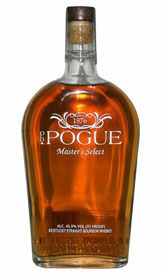 Finish: Vanilla, maple syrup, sweet, soft, smooth, balanced, long. Nose: Spicy, sweet, black currant, grainy, rye, cereal, licorice, sherry, very soft. 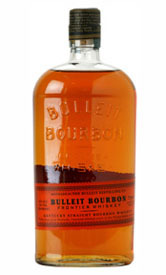 Palate: Caramel, butterscotch, candy, malty, buttery, toast, almond, clove, sweet, spicy, silky, round, complex, well-balanced. 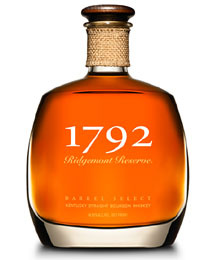 Finish: Buttery, maple, tea leaves, smoke, soft, tart, rich, smooth, medium-long. Nose: Light floral, caramel, nutty. 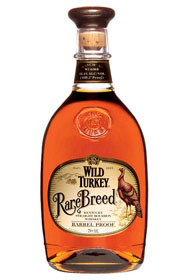 Palate: Caramel, treacle, light cream, malty, cedar, allspice, almond, leather, rich, very smooth, well-balanced. Finish: Nice, smooth. Nose: Sweet, toffee, butterscotch, coconut, tropical fruit, vanilla. Palate: Light honey, caramel, buttery, cream, pralines, marmalade, apricot, citrus, oak, tart, clean, well-balanced. Finish: Buttery, creamy, butterscotch, light spice, astringent, robust, smooth, soft, mellow, short. Nose: Fruity, banana, apricot, peach, toffee, creamy, nutty, floral, sweet, rich, pleasant. Palate: Dark cherry, banana, warm butter, rich layers of toffee, treacle, caramel, chocolate, brown sugar, nutty, pecan, walnut, oak, cedar, clove, eucalyptus, woody, floral, herbal notes, spicy, tart, bitter, dry, slight burn, medicinal, sharp, nice. Finish: Smooth, pepper, citrus, sweet, spicy, fiery, bold, harsh, robust, long. Nose: Woody, caramel, sweet molasses, ginger. Palate: Vanilla, banana, apricot, fruity, touch of citrus, lemon peel, honey, toffee, almond, ginger, buttery, creamy layers, slightly spicy, peppery, nutty, oak, mint, licorice. Finish: Smooth, soft, slight burn, peppery, spice, surprising body, balanced, long. Nose: Black tea, toasted brown sugar, buttery, leather, dried fruit, cherry, sugar cane, vanilla, oak, oily, spicy, woodsy, clean. Palate: Orange peel, banana, peach, lemon, coconut, creamy, toffee, ginger, spice, floral notes, light oak, cedar, woody, mahogany rich, smoky, sour, oily, balanced, very elegant. Finish: Soft, peppery, spicy, clove, scotch-like, hot, smooth, short. Nose: Molasses, honey, brown sugar, ginger, sweet, toasty, oak. Palate: Caramel, banana, cinnamon, vanilla, ginger, buttery, creamy layers, marzipan, malty, clove, almond, nutmeg, oak, syrupy, smooth, great flavor, delicious. Finish: Corn, toffee, soft, light, spicy, balanced. Nose: Fruity, floral, corn, banana, orange, tropical fruit, honey, maple, hazelnut. Palate: Orange blossom, molasses, maple syrup, cinnamon, ginger, creamy, flowery, sweet, pepper, spicy, woodsy, rye, coriander, smooth. Finish: Vanilla, tea leaves, citrus, mint, dried fruit, grainy, malty, mellow. Nose: Caramel, honey, jalapeño, citrus, light. 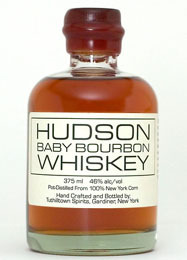 Palate: Buttery, caramel, creamy, sweet, rich, lemon rind, single malt flavors, leather, cedar, grainy, grassy, mint, floral. light, smooth, mellow. Finish: Sweet, corn, black currant, cedar, nutty, buttery, soft, smooth, robust, lingering. 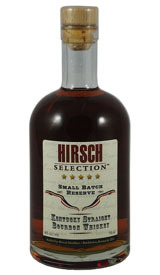 Nose: Fruity, caramel, toffee notes, brown sugar, raisin, coconut, grainy. Palate: Sweet, almond, orange peel, some fruit, pepper, spice, nutmeg, peppercorn, ginger, grass, sublime. Finish: Cereal, medicinal, harsh, smooth, long. Nose: Spice, cinnamon, walnut, black tea, smoky, herbal, woody. 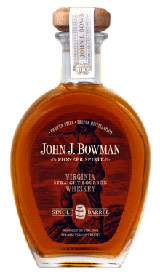 Palate: Sweet orange marmalade, herbal, malty, rye, cedar, new wood, tobacco, leather, sour, tart, sharp, soft, clean. Finish: Medium, cinnamon, nice, great, lovely, smooth, mellow. Nose: Floral, maple, hazelnut, lemon peel, coke, licorice. Palate: Rich, light banana, caramel, creamy, clove, mint, rye, spicy, marzipan, sherry, sourdough, earthy, wood, medicinal, clean, smooth, gentle, well-rounded, pleasant, premium. Finish: Smooth, sharp, light, tropical fruit, coffee, maple, pepper, short. Nose: Rich fruit, orange peel, marmalade, molasses, rich toffee, rum-like, biscuits, soft, woody, floral. 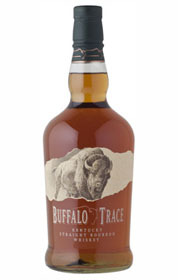 Palate: Burnt sugar, butter, creamy, toffee, brown sugar, orange peel, Madeira, grassy, ginger, minty, floral, oak, allspice. Finish: Cereal, vanilla, woodsy, rough, sharp, long. Nose: Rich, honey, sweet, molasses, butterscotch, burnt sugar, toffee, caramel, citrus, toast. Palate: Creamy, corn, jalapeño, licorice, rich wood, oak, charcoal, leather, medicinal, iodine, strong, pleasant warming, concentrated, unbalanced. Finish: Marzipan, pecan, spicy, orange peel, brown sugar, hot, harsh, lingering wood. Nose: Sweet, honey, caramel, pineapple, cream. Palate: Honey, sugarcane, molasses, creamy, butter, light pepper, floral, grain, lemon-citrus, cedar, oak, leather, smooth, clean, unbalanced. Finish: Oaky, oily, spicy, marzipan, harsh, mellow, short.